10:45 a.m. - 12:15 p.m. The long-term success of dental implants is directly correlated with the placement of an adequate restoration. Restorative driven treatment planning in implant dentistry is paramount for the achievement of predictable results. 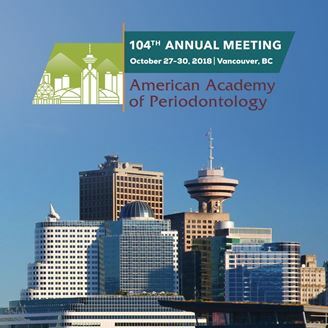 This set of lectures will demonstrate how the introduction of digital technologies can predictably lead to remarkable treatment outcomes and how choosing the proper abutment materials can help with the maintenance of the implant/soft tissue barrier seal. • Describe how to implement a fully-digital, facially-driven workflow in interdisciplinary treatment planning. • Introduce a pragmatic step-by-step process where guided dentistry, treatment simulation, digital preparations, printed restorations, and team communication come together to help design beautiful smiles. • Explain the importance of choosing the correct abutment material and how it relates with the long-term health of the soft tissue implant interface. • Comprehend limitations of newer abutment materials and how they represent a potential hazard with biocompatibility.